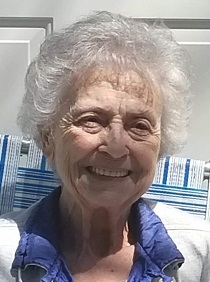 Connie Laverne Moffatt, 76, Nevada, MO passed away on Sunday, February 10, 2019 at her home in Nevada following a lengthy illness. Connie was born September 24, 1942 in Mt. Carmel, IL to Ruby Pearline Miskell. She was united in marriage to Paul “Pete” Moffatt on July 13, 1976 in Miami, OK and he survives of the home. Connie moved to El Dorado Springs with her family from Mt. Carmel, IL and attended school in El Dorado Springs. Connie worked at Nevada State Hospital for 30 years until her retirement in 2002. She was a member of First Christian Church in Nevada. Connie was a loving wife, loyal grandmother, and very devoted to her children and grandchildren. In addition to her husband Pete, she is survived by two sons, Tracy Bybee and his wife Cindy, Nevada, Keith Anderson, Nevada; two daughters, Becky Myers and her husband Roy, Nevada, Kenya Storm and her husband Scott, Nevada; numerous grandchildren and great-grandchildren; two brothers, Kelly Bybee, Huntsville, TX, Harley Collier, Mt. Vernon, MO; several nieces and nephews. She was preceded in death by her parents, one son, Kenny Anderson; grandsons, Timothy Bybee, Blake Beerbower; great-grandsons, Austin Lukenbill, Daulton Newcome-Bybee, step-daughter, Kelly Moffatt and infant daughter; sister, Diane Duncan, and brother Mike Collier..
Funeral services will be held at 11:00 a.m. on Thursday, February 14, 2019 at Ferry Funeral Home in Nevada with Pastor Bill Platt officiating. Interment will follow in Newton Burial Park in Nevada. The family will receive friends from 10-11:00 a.m. prior to the service at the funeral home. 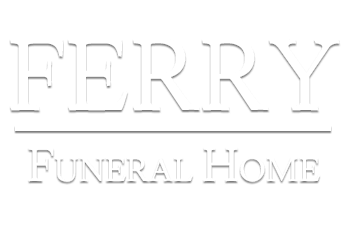 Memorials are suggested to Vernon County Cancer Relief in c/o Ferry Funeral Home.